By the end of February, nearly half of the campus will have migrated from GroupWise to Outlook for enterprise email and calendars. 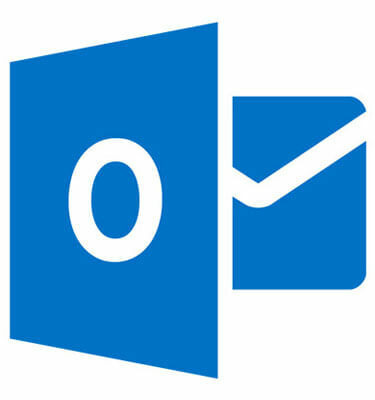 Outlook can be accessed through mobile devices, a browser-based Web App, and installed clients for Windows and Mac. It brings together the tools you need – your email, calendar, contacts and files – with a customizable view on every device you use. In response to LAN Admins who expressed a preference to helping their users adapt to Outlook on Fridays rather than Mondays, the Division of Information Technology migration team tried starting email migrations late Thursday nights. Unfortunately, this caused slowdowns in the GroupWise environment while mail migrated throughout Friday. To reduce GroupWise user impact, migrations were moved back to Friday afternoons. The DoIT searchable Knowledge Base has a rapidly growing collection of articles on Outlook and Office 365. In January 2015, there were 7,161 Knowledge Base page views, and February is on track to top that before the month is over. Visit kb.niu.edu for answers to questions about resource mailboxes, the Outlook web app, customizing Outlook and more. The ERP Training team has created an Outlook Migration Learning Resource with Quick Start Guides and online how-to videos and articles. The team provides a two and a half hour training workshop for each department and unit. A 90-minute webinar is being created that you can attend from your desk. For a list of departments and units that have migrated, see Already Migrated to Outlook. If you haven’t migrated yet, check the Outlook Migration Schedule. About two weeks prior to migrating, you will get a postcard with your migration date, training date and information on how to prepare. For more information, call (815) 753-8100 or email helpdesk@niu.edu.